Altmetrics can help you track the views, downloads and mentions of your published research outputs, online posts, videos and music. 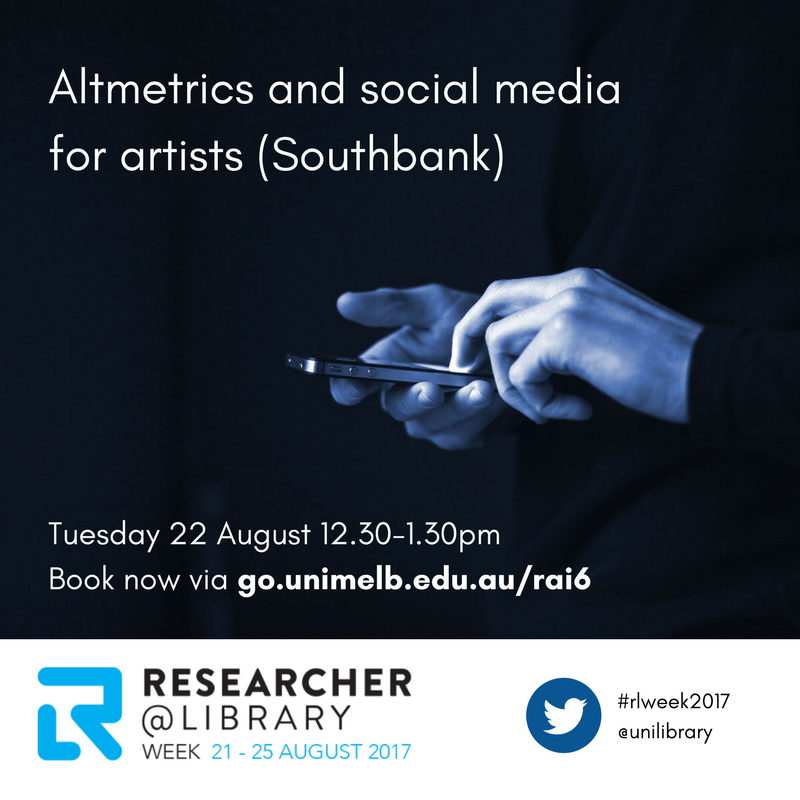 As part of Researcher@Library Week 2017, this session is aimed at academic staff and graduate researchers to assist in understanding what altmetrics are, how they are collected and measured, and how you can use and interpret them. It will include tips on how you can improve your altmetrics using social media, and an overview of a selection of altmetrics tools that gather data from social media and other online sources. Venue: The HUB IT Teaching Lab, Ground Floor, The HUB, Southbank (under Lenton Parr Library). Presenters: Georgina Binns, Ruth McConchie. Click here or more information about the session and to register for your spot; and view the full program here.